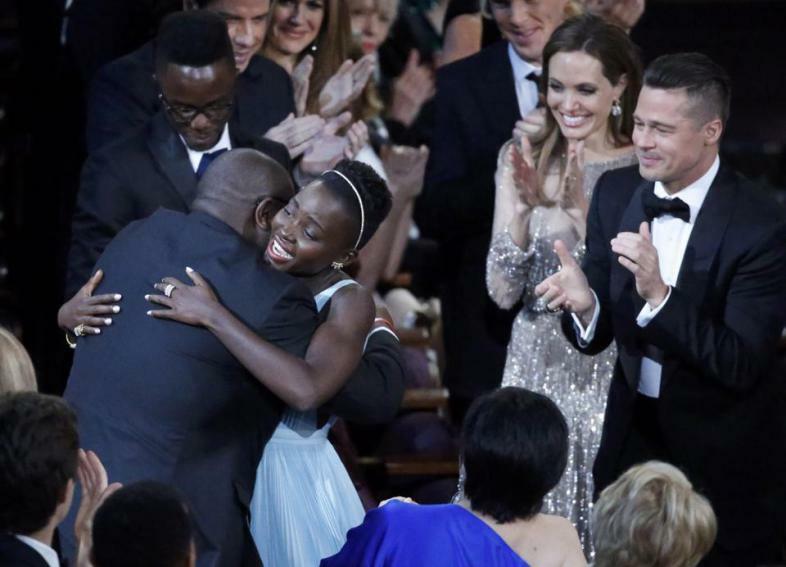 I didn’t think it was possible, but I finally watched an Academy Awards that did not upset me. As I watched last night, I was both amused by Ellen’s familiarity with the celebrity audience and moved by the most touching acceptance speeches. Actually, I was so happy with most of the awards last night that I worried about not having anything to write about this morning. Fortunately for me, I can always spot the hot mess in any and everything. 1) The Academy for thinking that Disney’s Frozen deserved a Best Original Song Oscar. I’m sure that I was not the only one rooting for Pharell’s “Happy” to take home the trophy. 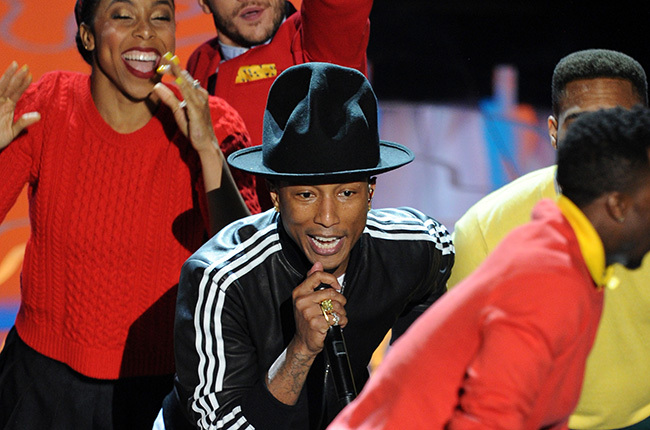 Pharell’s performance of the hit song from Despicable Me 2 had everyone dancing out of their chairs. 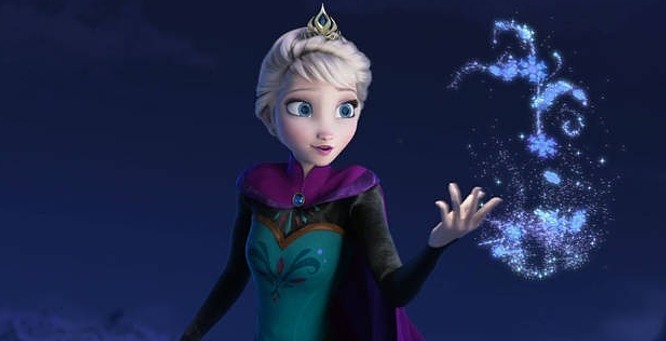 It’s just too bad that Academy voters thought Frozen‘s “Let It Go” was better…. Now, don’t get me wrong. I am a crazy Disney fan, having watched every Disney animated musical. However, Frozen was neither that great of a film (yeah, I said it) nor that great of a musical. As posted before, the songs in the movie were absolutely basic. I didn’t even like “Let It Go” until I heard a couple of covers on Youtube. 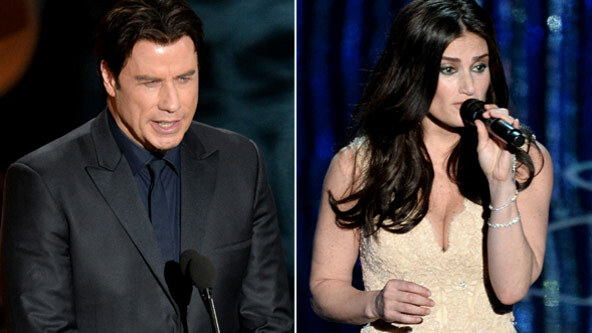 2) John Travolta for butchering Idina Menzel‘s name. 3) Jennifer Lawrence for tripping at the Academy Awards AGAIN! Personally, I am not obsessed with J. Law like everyone else. With that said, I do understand her appeal. She’s a cute girl with a pretty great personality, who knows when to laugh at herself. 4) The Academy for not having Leonardo DiCaprio‘s back. 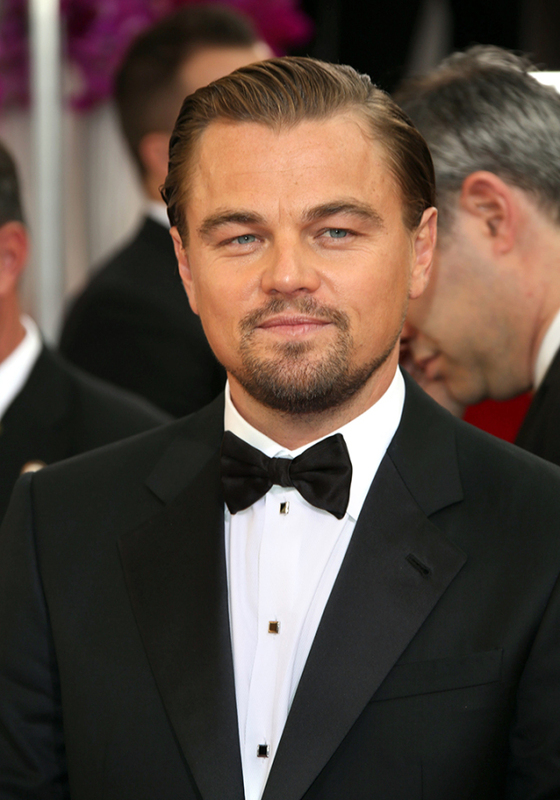 After being nominated 4 times, it’s such a shame that Leo’s never won an Oscar. I did not see Dallas Buyers Club, but I did watch Matthew McConaughey’s transformation and have no problem with him taking home a Best Actor trophy. I just want Leo to WIN! Side note: Can we talk about Matthew McConaughey’s acceptance speech????? 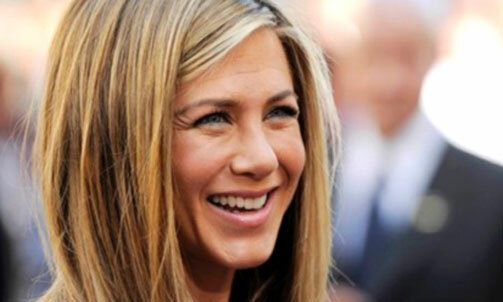 5) Jennifer Aniston for not having Brad Pitt‘s babies. 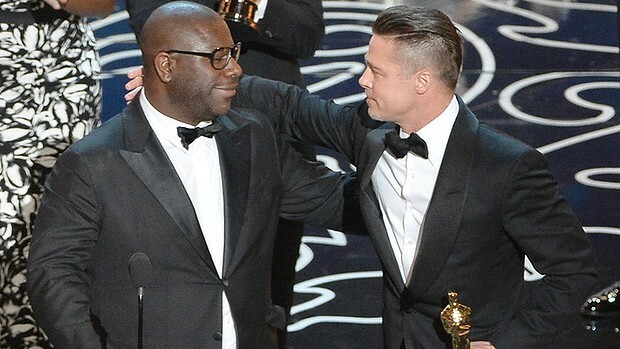 While watching the Oscars last night, all I could think about was how good Brad Pitt looked. 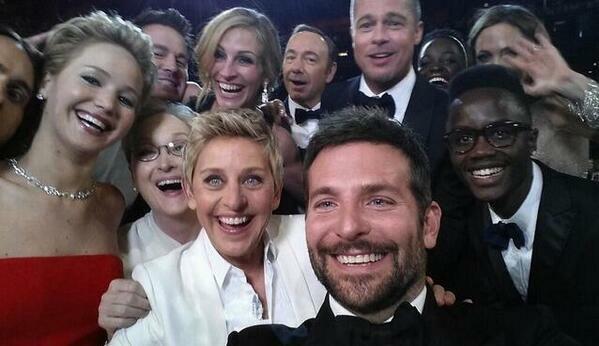 He looked good when he participated in Ellen’s Oscar selfie (top center behind big-head Bradley Cooper lol). 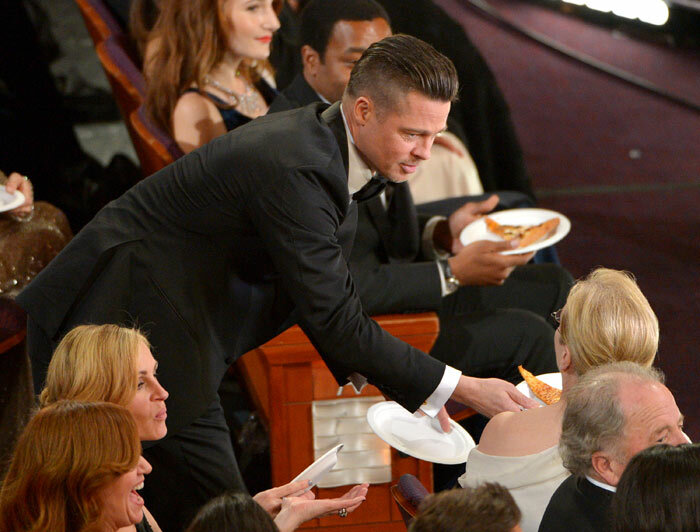 He looked good when he took a slice of pizza and when he gave Ellen money for the pizza. He looked good when he clapped for Lupita’s win. He looked good when he won his own Oscar for 12 Years A Slave. BTWS, another guy that looked good last night was Jared Leto.